Vita Sjomkane came to Donetsk as a Latvian volunteer. She joined the Intergeneration Dialogue, an EU-supported Youth in Action project coordinated by the Donetsk Youth Debate Centre. “I saw a great opportunity to go to another country whose past resembles, but also differs from, the past of my homeland,” she says. Vita came to Donetsk because of Youth in Action, an EU-funded programme created for young people. The Donetsk Youth Debate Centre hosts and coordinates the programme’s volunteers, inviting them to share their knowledge about Europe with children and young people in with the goal of promoting dialogue across generations. The volunteers work together on joint programme initiatives, including outdoor artistic actions in the summer. In 2011, Donetsk hosted 11 volunteers; in 2012, their numbers rose to 38, with most volunteers coming from Sweden, Poland, Austria, Lithuania, France, Spain and Denmark. Since January 2013, six new volunteers from Germany, Latvia, Lithuania and Portugal have arrived in Donetsk with support from the European Union. Kristina Katkauskayte, a volunteer from Lithuania, says she decided to participate in the initiative because it “helps me develop as a person.” “I want to challenge myself, to give myself a new purpose, and learn a different culture,” she adds. Four volunteers from Poland participate in the Intergeneration Dialogue project, which runs from October 2012 until September 2013, and is supported by the Polish national agency of the Youth in Action programme. They go to schools and orphanages to share their experience of inter-generational communication. The volunteers have also worked with entire families, conducting interviews and teaching them how to draw family trees and write down family histories. 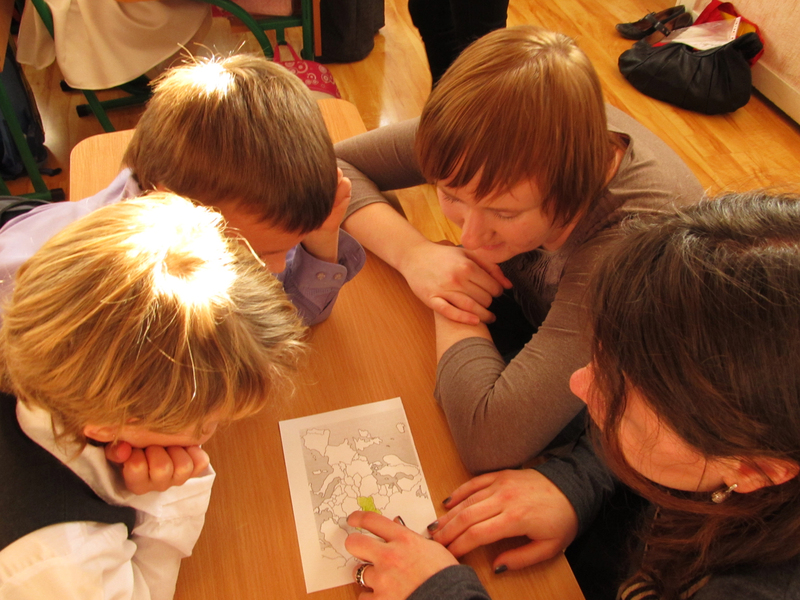 Other activities available for Donetsk families include lectures about the European Union and about the volunteers’ own countries, courses in English and Polish language, and workshops on photography. The Donetsk Youth Debate Centre is a longstanding partner of the European Voluntary Service, and an information partner of the SALTO EECA Resource Centre (a network under EU’s Youth Programme) in Ukraine. The European Voluntary Service, supported by the European Union, enables young European volunteers between 18 and 30 years old to gain new skills and experience by working with Ukrainian NGOs. It also gives young Ukrainians from Donetsk the opportunity to improve their European languages skills and join European civil society organisations. Youth in Action is an EU-funded programme that supports informal youth education. It aims to inspire a sense of active European citizenship, solidarity and tolerance among young Europeans and to involve them in shaping the EU’s future. The programme conducts exchange initiatives between the EU and its neighbouring countries, including Ukraine.